Well, I have decided about next year. I will be staying here until January. Lord willing, I will have saved up enough money to take a full load of classes then. In the meantime, I may be able to take a couple of online classes. There are a lot of benefits with staying here another semester. Interestingly, in the days that followed my decision on April 10th, I at times tried to make myself worked up again and upset about staying here. I couldn’t do it. I really believe that God did a miracle in my heart. I believe that He changed my desires. He has made me happy about this change of plans. 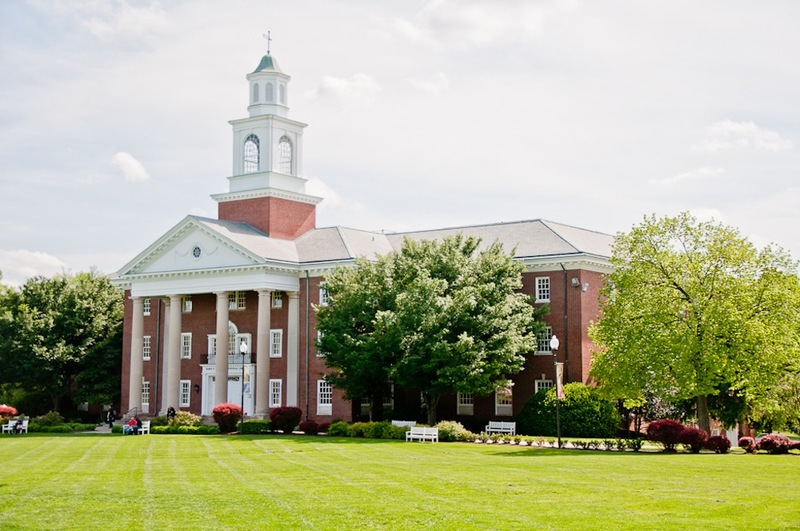 We arrived at about 5:15 in the evening on April 28th at the beautiful campus of Southern Baptist Theological Seminary, and checked into our accommodations for two nights — the Legacy Hotel on campus. That evening, Phil Wickham was presenting a concert in the chapel. I decided to buy a ticket since I liked some of his music that I’d heard and this place was, after all, going to be my home in the immediate future. I might as well take the chance to experience a program on campus. In the lobby of the Legacy Hotel, I purchased a ticket for the concert. Then, I took the car to run an errand. The really noteworthy part of my short excursion in town was that for most of my drive, I was heading straight into a huge and brilliant rainbow. Never had I seen one that because of it’s sheer size appeared so close. It was as though God displayed it just for me to communicate that He is faithful. Everything would work out. He has everything under control. 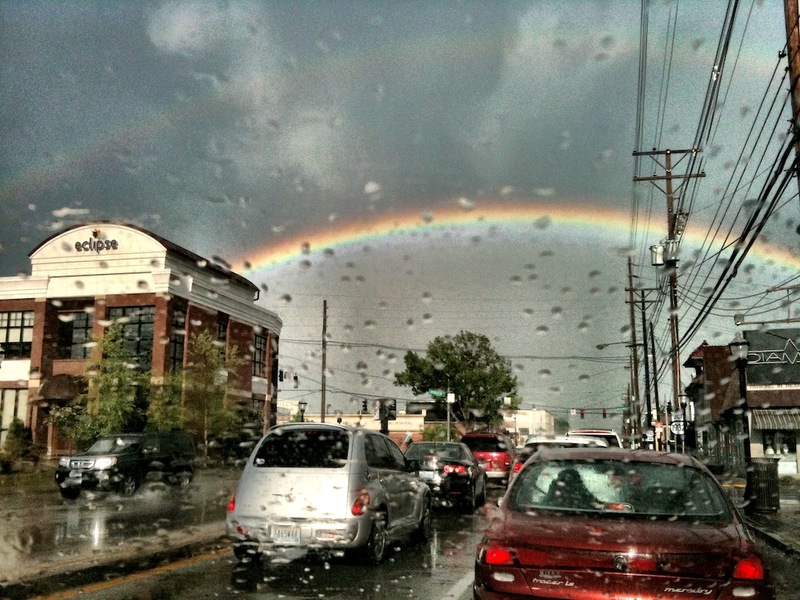 These truths that the rainbow communicated to me came at the perfect time. I was exploring the path that my life would be taking for the next two years, and there were uncertainties associated with it. I thank God for the rainbow to remind me of His character. In the room, I drank some Earl Grey tea before braving the rain in the short walk to the chapel. My parents were doing their own exploring of part of the campus. I slipped into an aisle by myself in the chapel. I knew no one. The concert was loud. Eventually my ears did get used to it, but nevertheless I was glad that the words to almost all the songs were displayed on a screen. I appreciated the solidness of the lyrics. The overall theme was the fact that God’s greatness and worth are displayed in creation and it was enhanced by the light effects. The next morning…although I was already majorly sleep deprived, it didn’t interfere with my excitement for the day. We went to sign in for the Preview Day and then were directed to the venue where breakfast (and all other meals) would be served. Every place at the tables in the hall was adorned with a book by Al Mohler, signifying the great value that the school places on reading edifying materials. 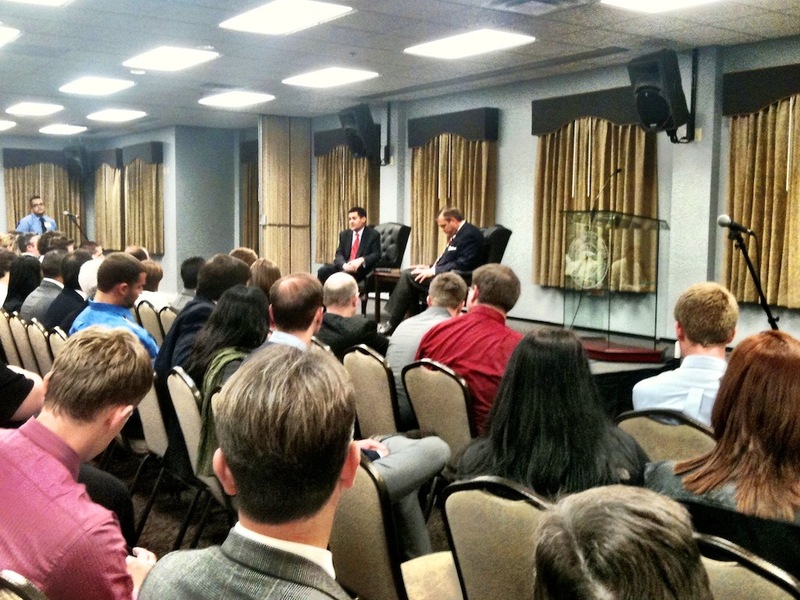 During breakfast, Russell Moore gave a short sermon on Jesus casting out demons. What I gleaned from it was that in order to be effective warriors against principalities and powers, we must have God’s Word dwelling in us because authority comes not from ourselves but from the Lord. The authority of His Word is the only authority we can bring to counseling situations. This means that we must know it and know it well. Southern aims to equip students with the Word of God to go out and fight well in this dark world. A couple of times throughout the day, I overheard a little of conversation going on among guys. They were discussing theology! Imagine being in an environment where that is the norm. How encouraging (and challenging) it would be! Next, we stopped by the Women at Southern office. The ladies there were very kind, and one of them said she would like to introduce me to a girl who would be graduating with a Master of Arts in Biblical Counseling. From her, I could get information about the program I would be doing. 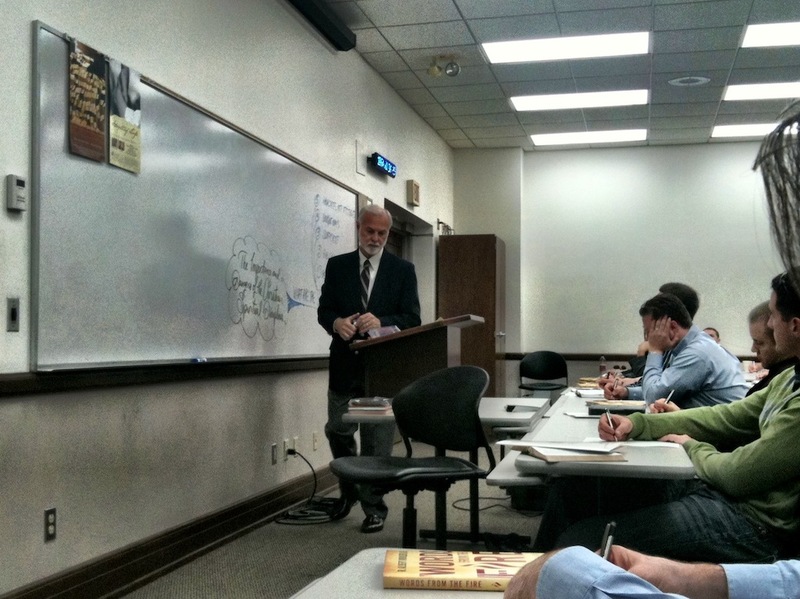 Next, we attended a lecture by Donald Whitney, author of Spiritual Disciplines for the Christian Life. He started out by getting the names and locations of the more than 50 prospective students in the room, thus showing himself to be very personable. Dr. Whitney’s teaching was excellent. I especially appreciated his method of writing on the board—a mind-map. After Dr. Whitney’s session, we spoke with a prospective student from Ukraine. It turned out that he is quite familiar with a ministry that our church supports. What a small world! Lunch was provided by Chick-Fil-A. We were among the very last to enter the dining hall, so had to search for a table with enough seats. We found one with just enough, and it “just happened” to be the table where the lady from the women’s office was sitting. At the same table were the girl who did the Biblical Counseling program, and a girl and her dad from Oklahoma! I’ve seen God work out little details in the past, but it was nevertheless special to experience Him direct my path to meet up with specific people. It was good to be able to speak with someone who had experienced the MABC program first-hand. During part of lunchtime, three student representatives made up a panel to answer questions, and it was a very beneficial informative time. After lunch, we went on the campus tour. It “just happened” that the girl who is graduating with a MABC led the tour for single girls. 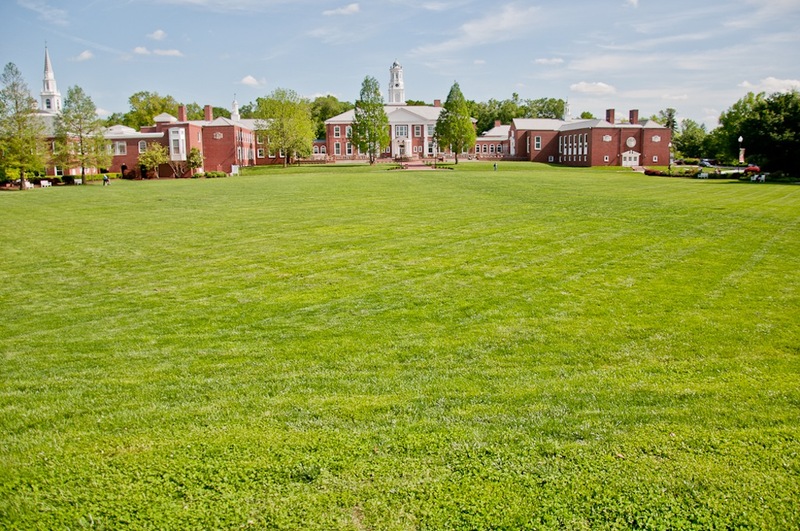 On the tour, we learned that the campus is basically situated around a large square lawn. 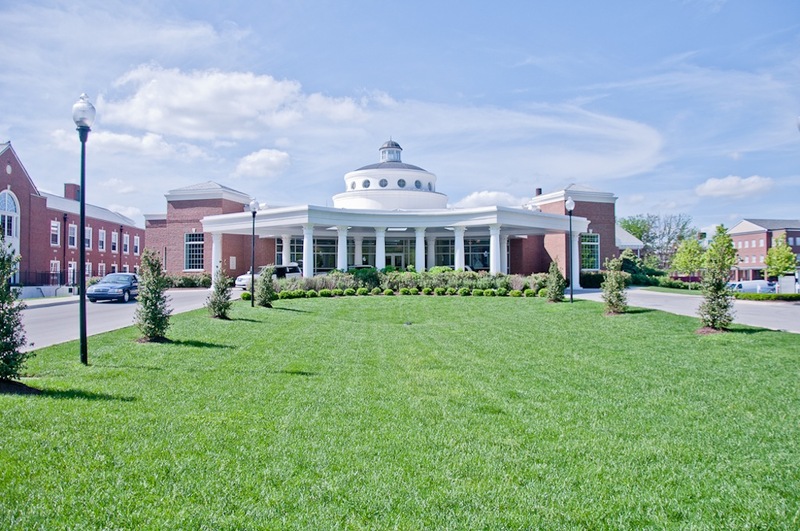 On every side are buildings: one is the library, one contains lecture halls and faculty offices, one hosts the gym, pool, bookstore, and other offices. On the fourth side are the dorms. 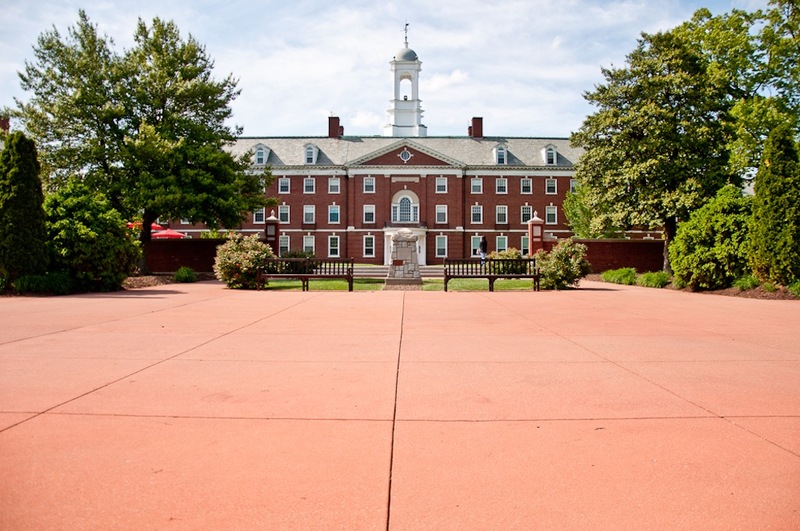 The campus is its own precinct, and therefore has 24/7 city security and its own post office! One of the interesting things housed in the library is Spurgeon’s Bible. Yes, you read that right. Though I only saw from outside the room it was in, I didn’t notice a case around it. Can you imagine being able to thumb through Spurgeon’s Bible? I’m looking forward to finding out if it’s possible. Following the tour which made me fall in love with the campus itself, we attended a session on financial aid. It was informative, and then at the information fair I got even more information that applies directly to my situation. In short, I found out that financially I could start school in August, and I am even eligible to apply for a scholarship! Now, I can start school on campus in August! Meagan, a friend I graduated from home-school high school with in 2005 met me in the afternoon after the information fair and walked around campus with me while I took pictures. She did the MABC program, so had good tips for me. I am grateful to know Meagan, and look forward to spending more time with her soon. As we waited for my parents outside the dining hall where the dinner with faculty was about to start, she introduced me to a couple of professors who walked by, including one who speaks German and Dr. Stuart Scott! My parents came, and we bid farewell to Meagan before entering the dining hall. My parents sat with the lady we met at the Women’s office, whose husband speaks German, and I sat with April at the same table as Dr. Scott and his wife. It was a delicious dinner accompanied by conversation about the school and April was gracious to answer every question asked. Dr. Scott remembered two students who I mentioned, including one of the elders at my church. I am very excited about being in his classes on Biblical Counseling! 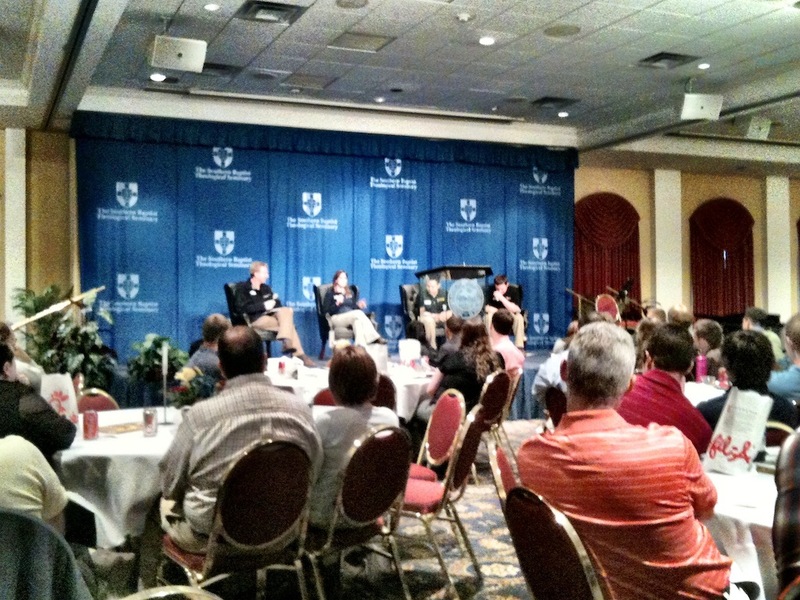 After dinner, a Q+A session was held in the Legacy Hotel with Dr. Al Mohler and Dr. Russell Moore. 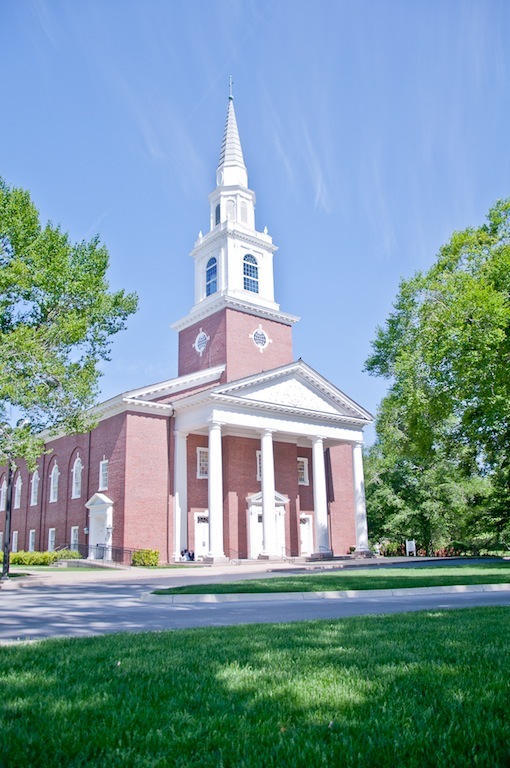 Rather than questions about the school itself, most inquiries were concerning theology. It was great to hear such questions being asked by prospective students! The only lady who asked a question asked how she could be a good seminary wife. That stumped the panel at first. 🙂 They responded grateful for such a humble inquiry, and gave some good advice. The day ended with dessert at President Al Moher’s home, just down the street from the campus. He and his wife, Mary, greeted every person who entered their home. It was a privilege to explore Dr. Mohler’s huge library in the basement. I would find it difficult to describe, so will just link to a tour of it here. So, that was my experience. I am so grateful for the program put together by Southern to introduce prospective students to the school, and am excited beyond words about starting my studies there in August. 3 months from now, my first week of class will already be over. A mere 8 months ago, I did not imagine that I would be taking this step. But I see that God has been preparing me for it. 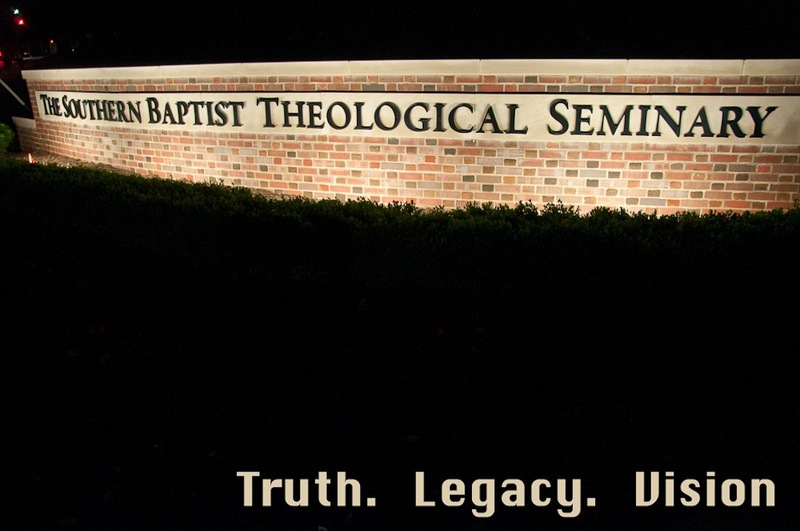 Both my interest in counseling/discipleship for at least the past 10 years and His enabling to finish my undergraduate studies last summer have been part of the path that has led me to this place. 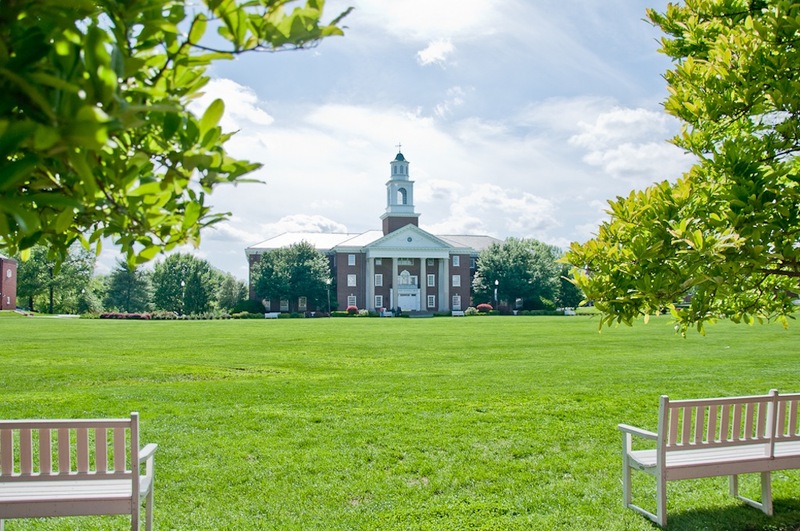 I’m bound for Southern Seminary! Can you imagine studying here? !